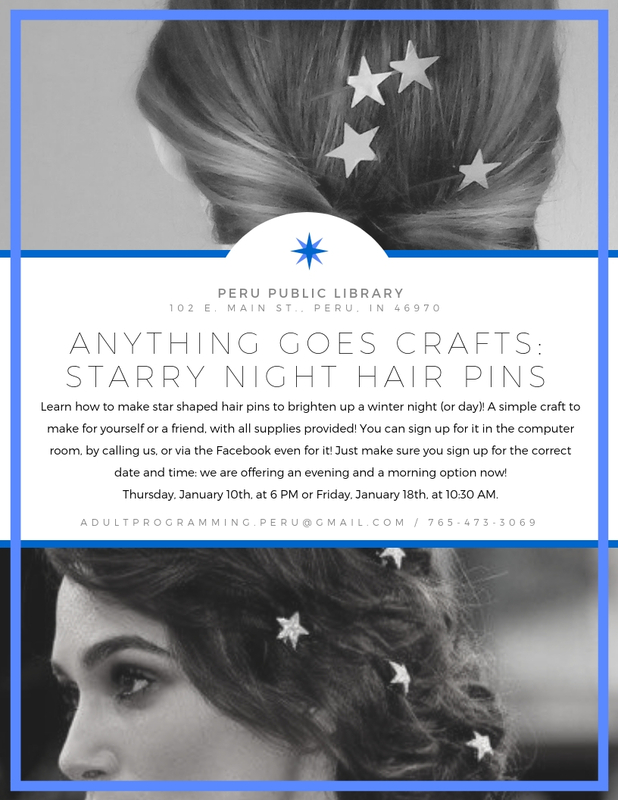 Join us and learn how to make these simple but darling hair pins! The easy craft can also be done as a headband! Sign up in the computer room, by calling us, or via the Facebook event page!